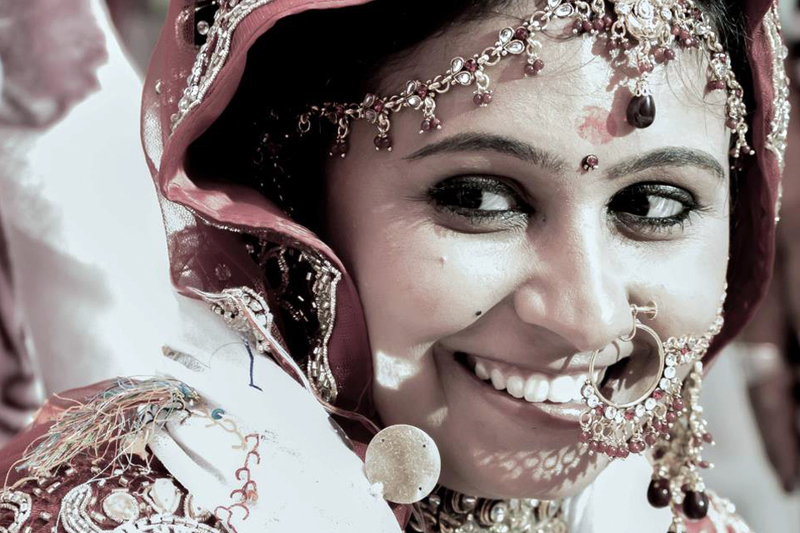 The Nose Rings is worn by Brides as part of the Solah Shringar. Generally worn on the left nostril, it is said to have medicinal effects. Widely worn by married women in the Indian sub-continent, it is also worn by the native Australians & Africans too! Nath/Nathni in Hindi, Mookkuthi in Tamil, Naka pina in Bengali, Muugti in Kannada, Mukku Pudaka in Telugu. Used by Married Women signifying that they are married. Also on Weddings, Religious Fasts, Deepawali & other festivals. Some women would wear a simple one everyday too. With the Beatles visit to India in the 60′s and the Hippies movement thereafter, several Indian accessories such as the Bindi, Mehendi, Maang Tikka and the Nose Ring became popular in the west too. They come in various combinations of precious stones. From plain Gold Rings to the Ornate Diamond, Kundan or Polki ones. The practice of wearing the ‘nath’ dates back to the Vedic times with references of it in the Hindu Scriptures. Worn on the left nostril and believed to ease menstrual pains and aid conceiving a baby. Some Rajasthani women wear the “bulaag”, suspended from the partition of the nostrils. Considered auspicious and part of Family heirlooms and passed on from one generation to the next. Nose Piercing is a very popular Fashion Statement and gained popularity with the Hippie Movement of the 70′s.